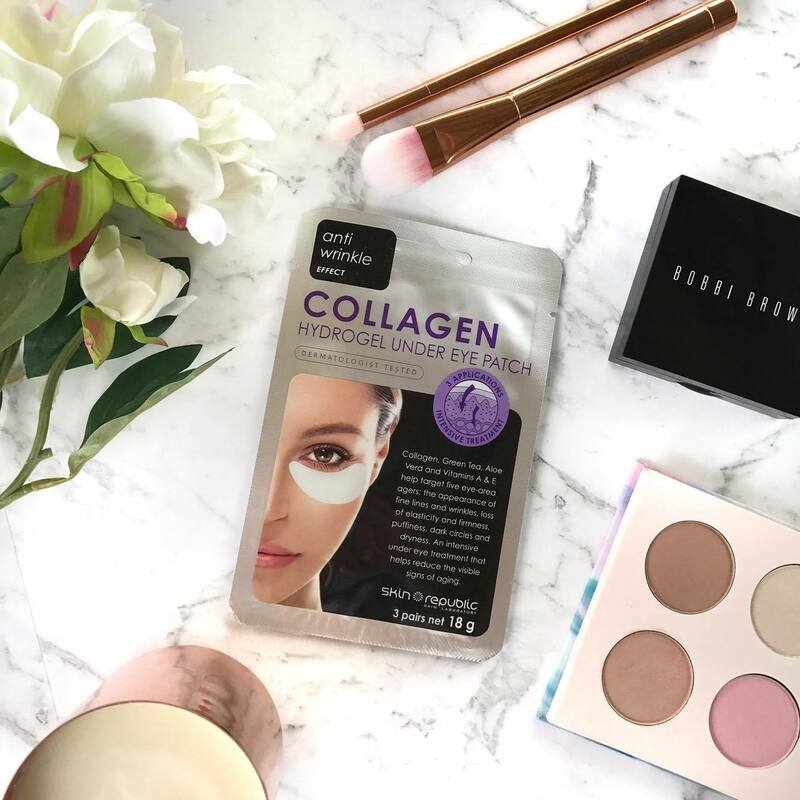 There is just something that seems so luxurious and 'extra' pampering about cloth and gel face masks. Perhaps it is their one use formula, their individual packaging, or ease of use, but whatever it is, I'm a fan. 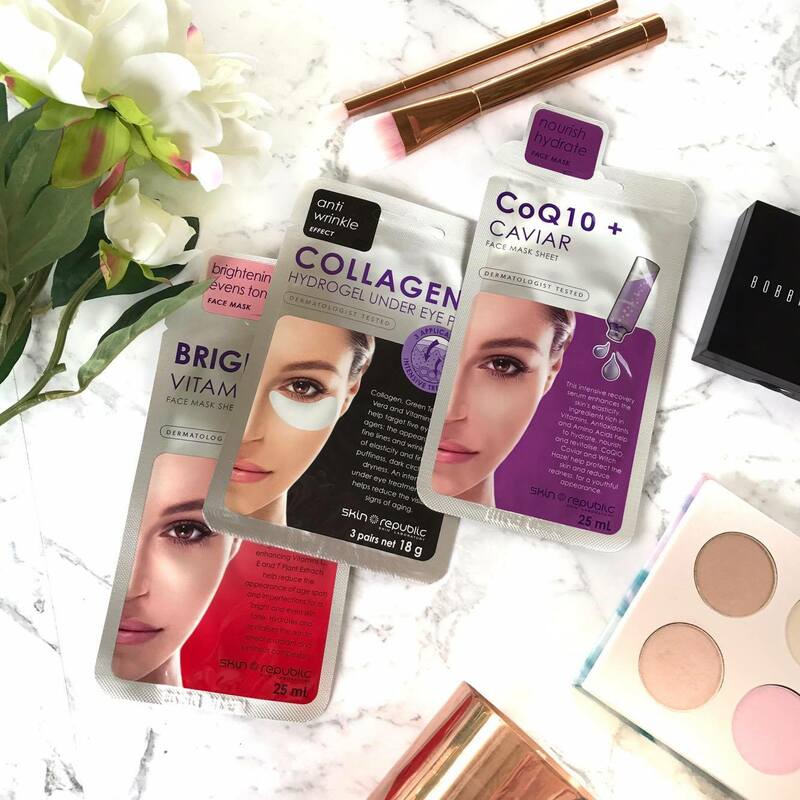 Today I wanted to draw attention to Skin Republic's range of Face and Under Eye masks, and why I recommend them. Skin Republic offers a range of 12 products that are designed for the face, under the eyes, the neck, décolletage, and hands and feet. Concentrated nutrient rich ingredients nourish, rejuvenate and hydrate, helping you to maintain healthy looking glowing skin. Sheet masks are so popular, but what do they actually do? Sheet masks are very effective in delivering nutrients to the skin due to their close dermal contact. Depending on the ingredients used in the formula, sheet masks typically provide intense hydration and nourishment, and often helps repair damaged skin cells. I was recently sent a few face masks and eye masks to try out. 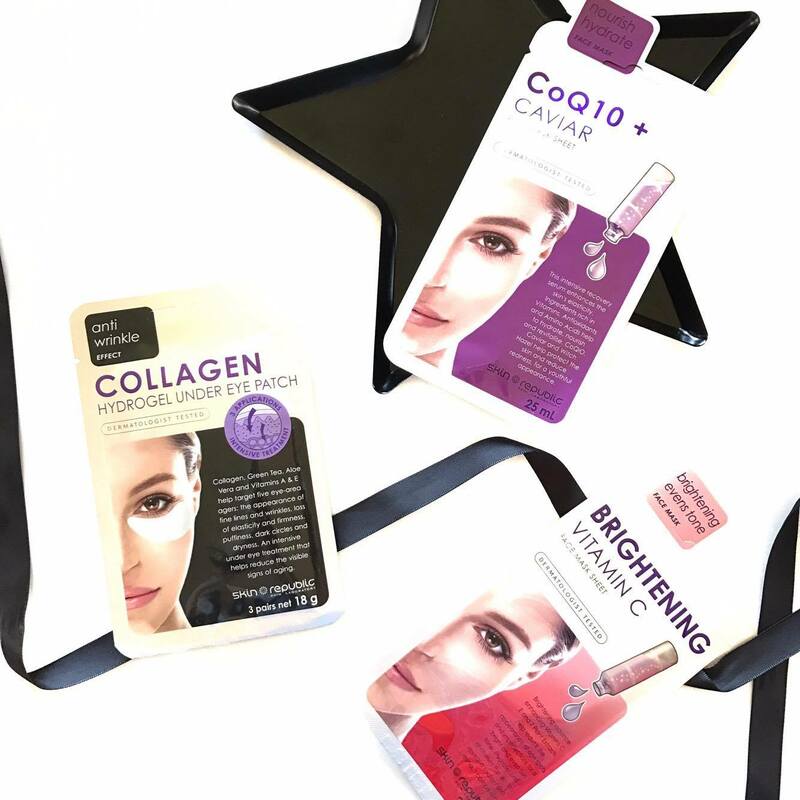 I received these masks in Coq10 + Caviar, and Brightening Vitamin C. The Coq10 aims to nourish and hydrate the skin, repair + provide nutrients, and vitamin and protein protection to your skin cells, while the Brightening Vitamin C reduces the visible appearance of freckles, age spots and imperfections, brightens and evens skin tone and is antioxidant and moisture rich. Both of these masks come in individually wrapped packets, and come as pre-cut cloth masks that are drenched in serum. The cloth that the masks are made out of is quite tough and durable, so you don't have to worry about it breaking apart as you apply it to your face. Both masks feel lovely and cooling on my skin. As with any sheet mask, I left these on for WAY longer than the recommended 15-20 minutes, as they don't dry out quickly and I feel the longer the product is in contact with your skin, the better. After I removed these, I massaged any remaining serum into my face, and then applied a moisturiser over the top. I like how these multitask as a mask and face serum! As I only received two of these masks, I can only speculate about what the long term benefits of using these masks are. I can tell you that after each time I masked, my skin felt plump, hydrated and happy. I will be definitely purchasing some of these to keep on hand as a treat, or for when my skin needs some pepping up! Collagen, Green Tea, Aloe Vera and Vitamins A and E help target five eye area agers: the appearance of fine lines and wrinkles, loss of elasticity and firmness, puffiness, dark circles and dryness. 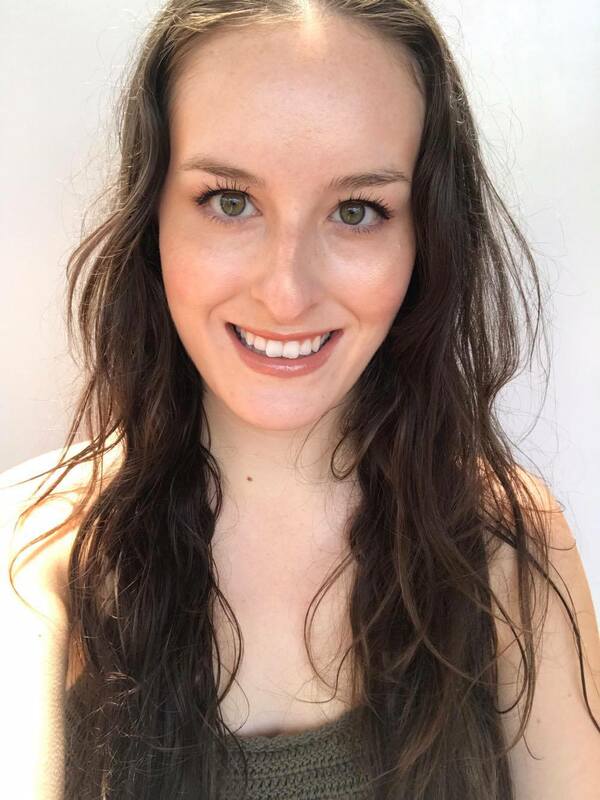 As someone in her early-mid twenties, I am lucky to not have any deep wrinkles, but I do have the beginnings of fine lines around my eyes. I also suffer from dryness around my eyes as well. These eye patches feel so nice and cooling on my eyes, especially when popped in the fridge beforehand. My skin feels plump and hydrated after using these patches, and my fine lines minimised. I feel like I need to stock up on these! These would be great for when you are feeling unwell and feel so puffy and congested. They truly soothe and calm the skin, while providing it with anti-aging nutrients. Have you tried Skin Republic Masks? Do you have a fave mask? I think I need to pick up some of their hand and feet masks. You can purchase products from Skin Republic from Priceline!